The Lean healthcare certification is a training course to improve the quality of heath care services from the time a patient is admitted to the moment they are completely discharged to be sent home. The entire event of being admitted and undergoing treatment for cognitive diagnosis up to subsequent outcome resulting in discharge of the patient or otherwise, is a lengthy complex process and the LEAN module analyses it through various segments that the entire process has been dissected into for the purpose of reviewing each segment with the objective of improving the quality of end delivery. With this focus, the course has been formulated to introduce lean concepts supported with the illustration of real time case studies in the Healthcare industry. After the successful completion of the course every participating candidate will be equipped to review system processes for identifying root causes of inefficiencies and waste within the system and use their acquired knowledge and develop skills to reduce waste from the system thereby better improving the standard and overall quality of patient care. The main objectives of this course are specifically outlined below. The training material promotes developing of patient – caregiver relationships based on mapping points. These mapping points help in identifying the leader in this relationship through certain responsibilities imparted by the leader. The course also describes the entails of this cross-functional leadership and their teams and their role in building value in such a critical network. Some of the major highlights of the training course in identifying common areas of reducing waste in any healthcare facility and to prevent medical mistakes. 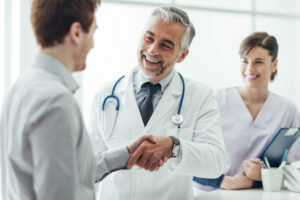 Improve patient care to eliminate the roadblocks in one’s deliverable and employ metrics to enable room for smart improvement decisions in real time. Identifying repetition or waste in any process and duly have them isolated is the major skill that this training course will instill in every participant to improve their endurance when tested. Another key corollary of direct elimination of unnecessary or waste is that the administrative process is also largely simplified as a result. Subsequently optimizing EMR and enabling automation in other areas of administration, wherever possible, will further result in better patient care and reduced wait times. The expertise to deliver the absolute benchmark in high-quality care with increasing efficiency and reducing costs is what this course equips every participating candidate with in order for them to carry the legacy of this certification course forward proudly. Contact Canada Health Net for getting best Lean Healthcare Certifications with live examples.